The third in my collection from FAREWELL BOOKS. The first is that it is so much smaller than you think it will be, the second is that when you look through it, it feels so much bigger than it actually is. 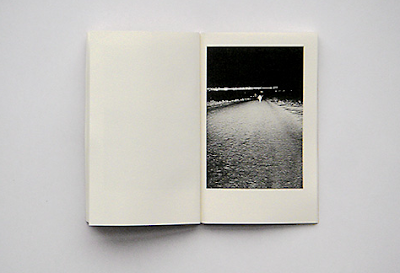 The 13 images are of John Divola running away from a camera which has had the self-timer set. Random, desolate landscapes with a scrambling figure trying to get away. 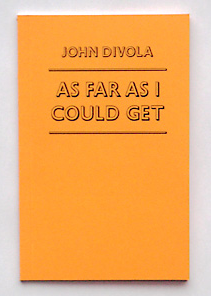 Part performance, part conceptual artist book. 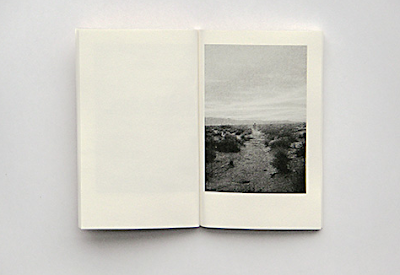 9x14 cm, 28 pages, 13 b/w laser printed images. I like his stuff. Looks good.